Where Can I Get an STD Test in Rocky Mount, NC? Sexually transmitted diseases (STDs) affect millions of people all over the world, and while certain groups of people tend to be at a higher risk, STDs can affect just about anyone. The best way to prevent spreading STDs is to get tested. If you’re sexually active it’s important to get tested regularly, even if you’re feeling fine. Wondering where to get an STD test in Rocky Mount, NC? Check out your neighborhood FastMed! 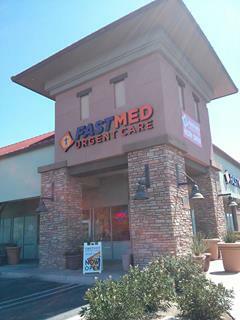 FastMed Urgent Care is a walk-in clinic that provides health services every day of the year. Getting you the care you need, when you need it, is our top priority. The emergency room is not your only option on weekends and holidays? FastMed offers many of the same services at a fraction of the price. Our location in Rocky Mount, NC is open until 8 pm during the week and open on weekends and holidays. We also accept most major insurance plans and most major credit cards. Our ZipPass reduces your wait time and our automatic payment option gives you peace of mind. The FastMed in Rocky Mount, NC is conveniently located on Sunset Avenue. All of our walk-in clinics use state-of-the-art equipment and employ highly trained health care professionals. Taking charge of your health is important. If you still have questions about STD tests or other health services available in Rocky Mount, NC, call or stop by FastMed today!